Mostly because i dont trust the judgement of my 1 Honda buddy... is it really that risky to assemble your own block, or is really not that bad. background: I have a JDM H22A i ripped apart ready to be sleeved, but wondering if I really need to have someone assemble it for me. If i have a torque wrench, and a service manual, how bad can it really be to put together right (by the book) if I took it apart? Re: Assemble your own block? The biggest obstacle at first is the hone. You say yours is sleeved? As in steel? If so normal hone is good. And since bearings have a very thin margin of error as is 1000ths of an inch of clearance for oil to pass through, a thorough check of each one to gain size of each needs to take place. To make sure you have as equal as possible clearance for oil to pass through. Ring set is another matter. No it's not a simple twist bolts and yer dun. There is expertice involved. But doing some research should allow you to gain know how enough to give it a go. what is your experience with engines? Either way, you will learn something the hard way either very quickly or sometime in the near future if you think engines just get slapped together. so basically, I could potentially do it, but really shouldn't. Or if i do, i will probably hate life shortly after. 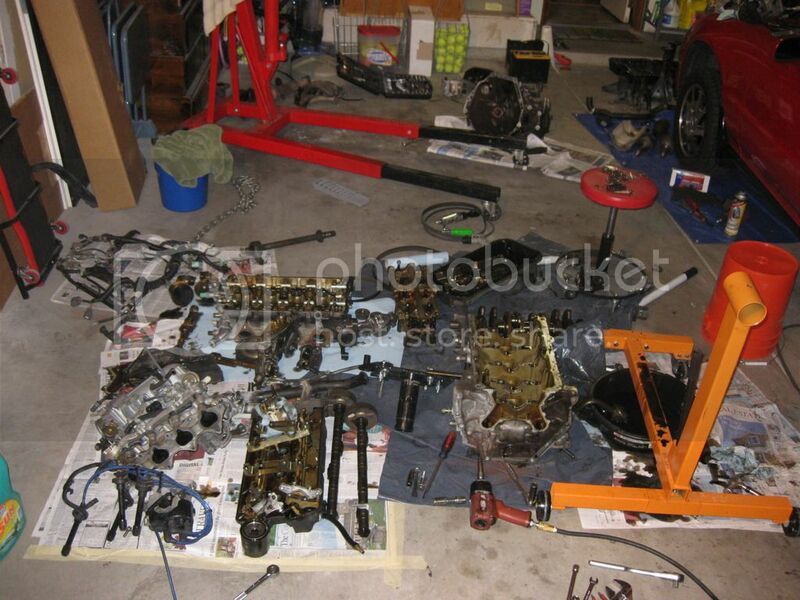 There are tons of books (and online resources) on how to build an engine. Do some research before you attempt it. You have to make sure all of your clearances (as bykfixer stated) are within tolerances. They make materials just for checking engine bearing clearances. Do a lot research and take your time and you should be fine. Remembering where and how everything goes is step 1..
Do you know how to measure your piston to valve, piston to wall, and bearing clearances? If no..then maybe don't put it back together yourself..
Organization is key. Since you are just rebuilding you need make sure everything goes back into where it came from.